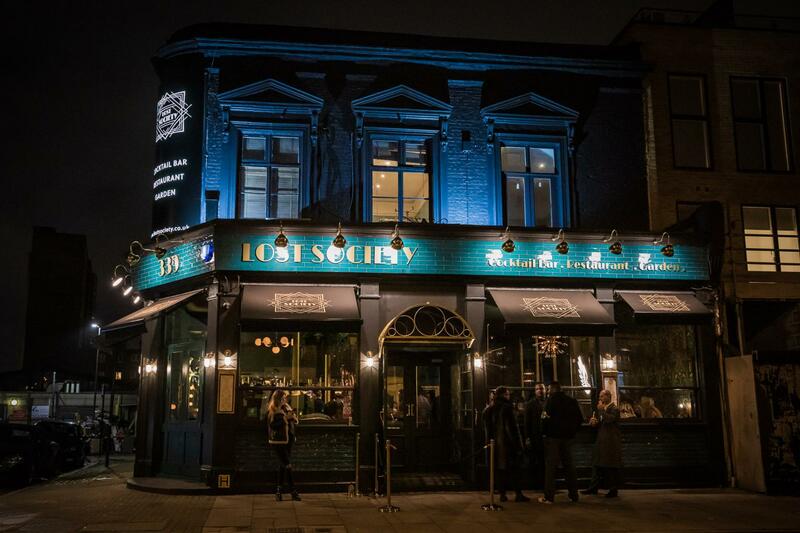 Lost Society is open 6 days a week for all your booking needs, be it an intimate dinner, a big night out or family fun day. Ranging from parties to romantic dinners, from sunshine to rain- We’ve got you covered! 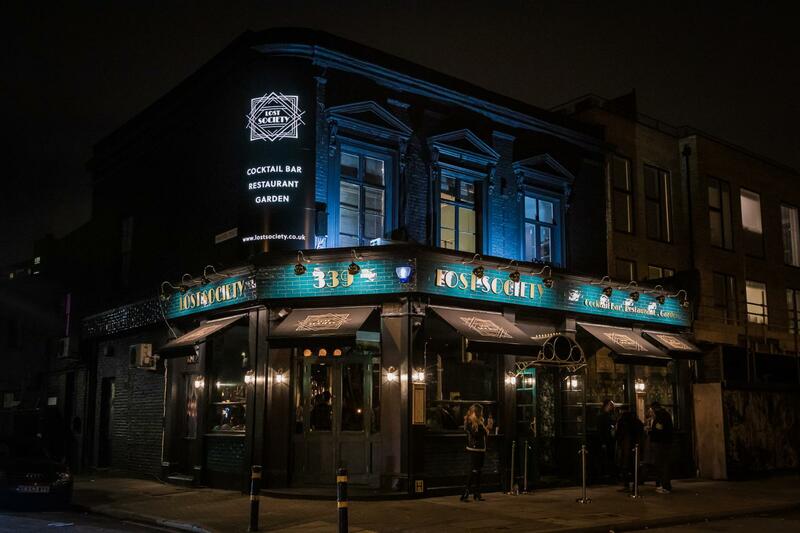 Our kitchen is open every day until 10pm, while on weekends we have live music followed by DJs taking us through to the early hours. 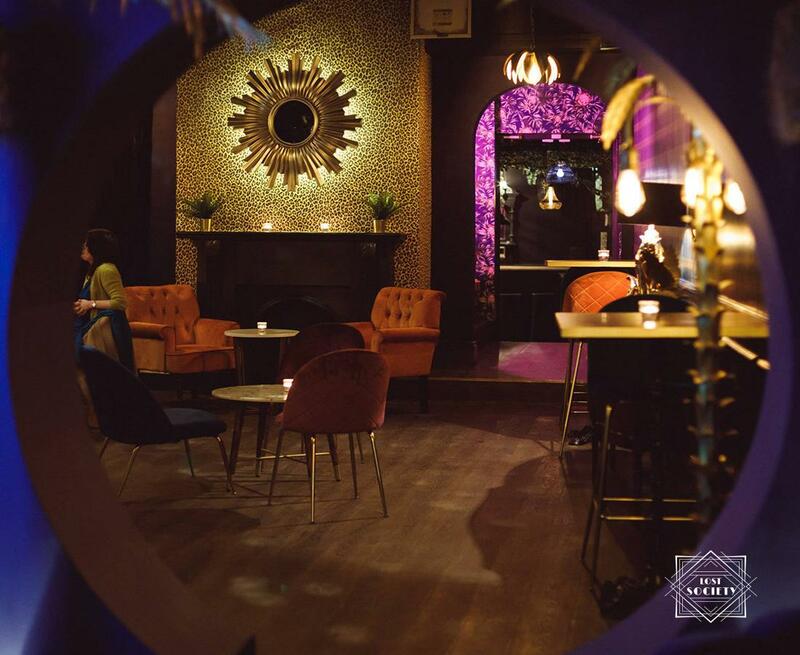 Our converted back room now known as The Lounge Bar is available for private hire throughout the week. The room can accommodate 80 people and leads straight into our botanical haven of a garden. It is the perfect place for dinners and parties alike. A minimum spend on food/drinks is required to reserve this room. 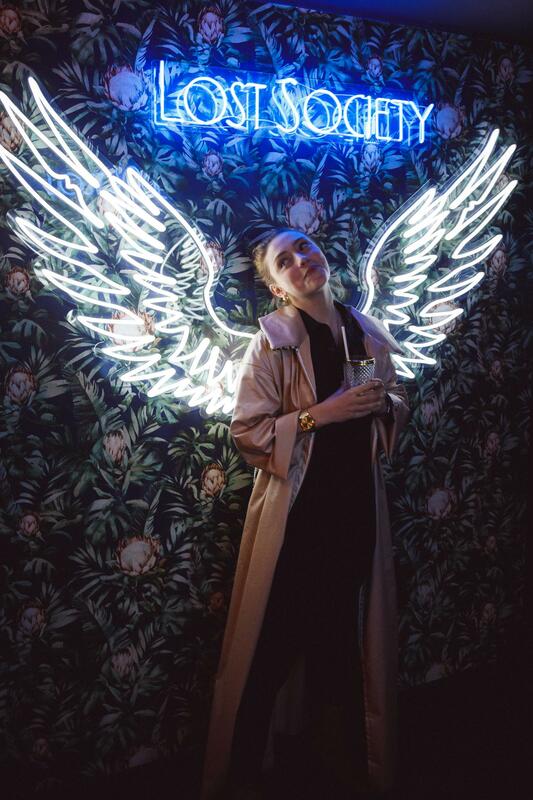 The Lounge Bar comes complete with your own bar and bartender who’ll create bespoke cocktails and add a hint of luxury to your event. WANT TO HAVE IT ALL FOR YOURSELF? The room can accommodate 80 people and leads straight to our botanical haven of a garden. It is the perfect place for dinners and parties alike. 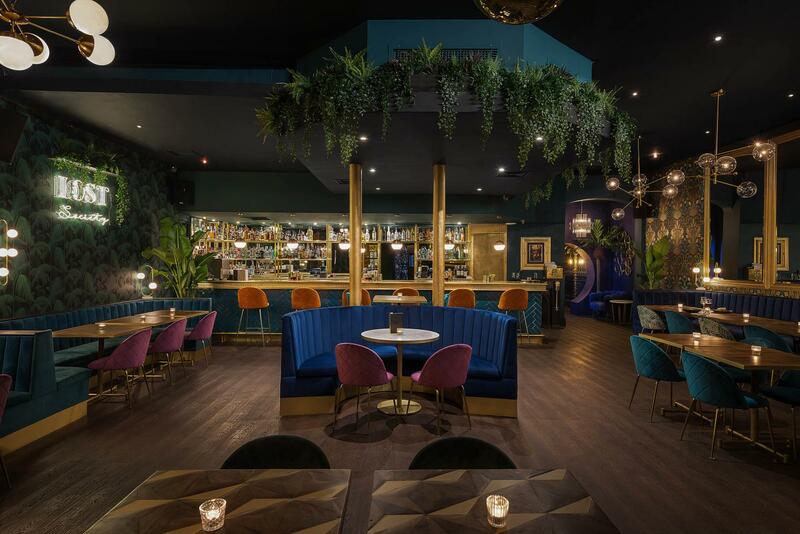 Our private room comes complete with your own bar and bartender who’ll create bespoke cocktails and add a hint of luxury to your event. Book this room for birthday parties, conferences, Enagagement drinks, baby showers, bridal showers as well as hen parties, and any other occasion. A garden like no other. 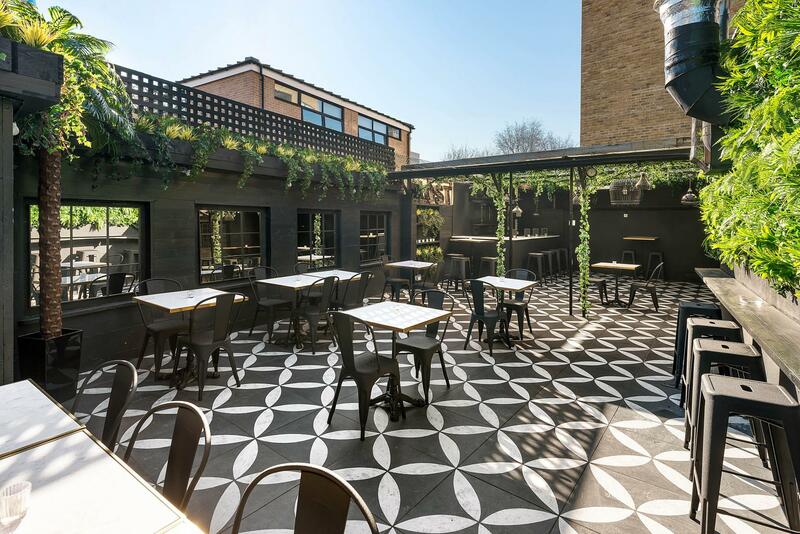 We’ve continued the luxury of our decadent interior outside to create a monochrome botanical oasis to be enjoyed come rain or shine; with a partially covered terrace and outdoor bar, creating the perfect space to dine and drink all year round. A hidden gem in Battersea. *Available for Exclusively private hire subject to a minimum spend. Fun and funky, yet unpretentious, there’s plenty on offer for everyone. From cheeky smiles to cheesy pizzas, and late nights to lazy Sundays, we’ve got it covered. From midday, we serve up Australian specialty coffee and homemade cakes alongside weekday lunch specials. And with our super fast wi-fi, you might even get some work done over your latte. Perfect for a quick office break or an excuse to clock off early and unwind. Our premium seating area is located in our main room next to the DJ booth. 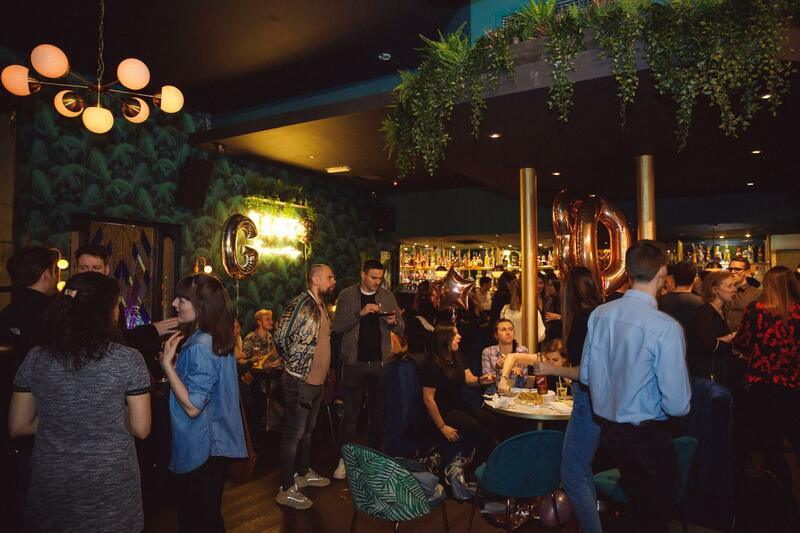 It can hold parties of 20 seated or 50 standing and it is perfect to enjoy the fantastic vibe that the main room has to offer. Table service is available for this area. 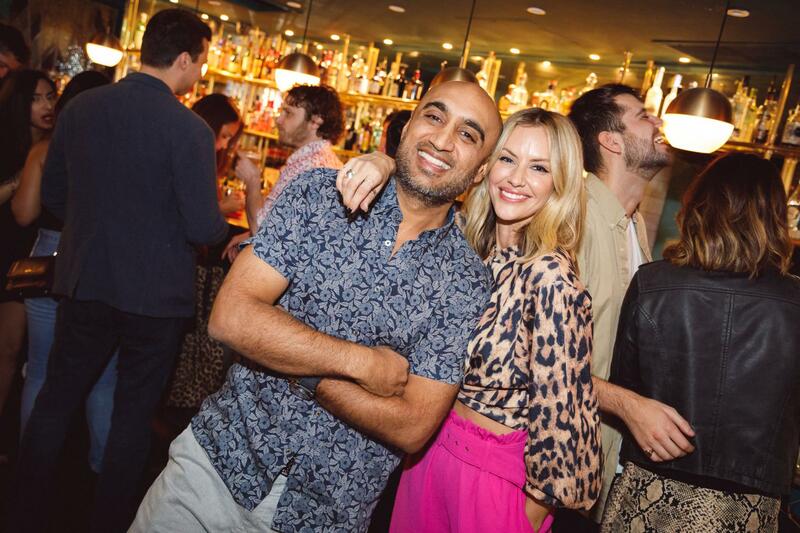 I definitely recommend Lost Society Battersea for any kind of events! I personally organised a 30th Surprise Birthday Party for my partner and it turned out great! The staff on the evening as well as the Event Manager, Fru, were absolutely great and super helpful as well as caring with my wishes. 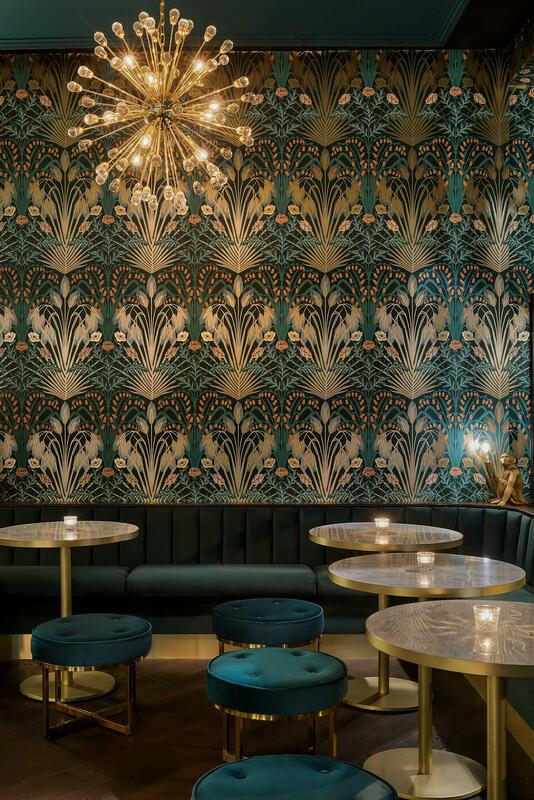 The Venue itself vibrates a fresh but classy atmosphere through its brand new design. The music and the DJs on the evening were great and created a fun atmosphere. More, the guests ordered food on the spot and as I understood it was great as well and quickly served. 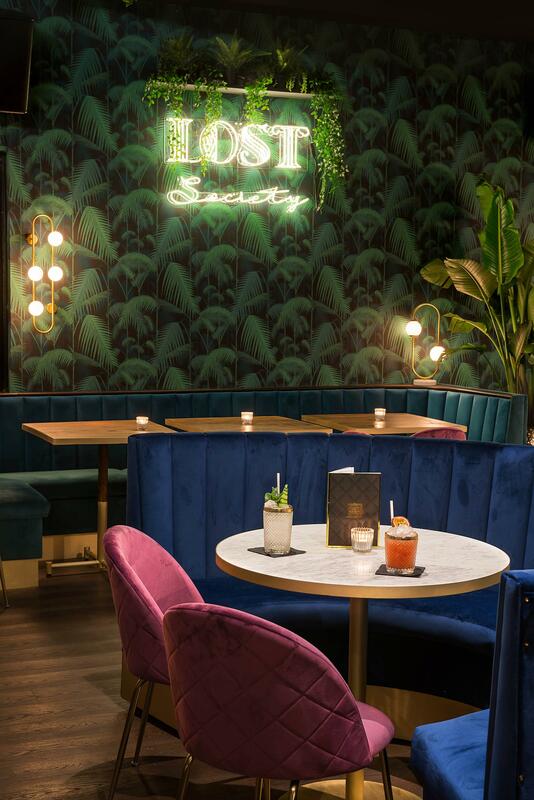 Overall, my experience was absolutely positive and I definitely recommend Lost Society Battersea . The refurbed venue was gorgeous. Even though it was changed a month before my party I was really happy with the outcome and the staff were brilliant ensuring as much of my needs were met as possible. Especially Fru thankyou! I hired the party room but unfortunately as guests were still dining until 10pm the music didn't really get going until 11 leaving my guests standing around. Also there was a very aggressive bouncer but the staff were fantastic and rectifed it quickly. Amazing venue and value for money. Great atmosphere. Friendly anm accommodating staff. Quirky decor. My booking was not displayed on the area on the arrival (despite coming to the venue the day before to double check that the area had been booked) Staff had to go over to the area and ask others to leave. Jack was amazing all night, great service and stress free. Had my 50th Birthday party there 2 weeks ago Saturday night..Hired the quirky House Party room.... just got to say the evening was awesome! Great atmosphere, brilliant venue and attentive staff! 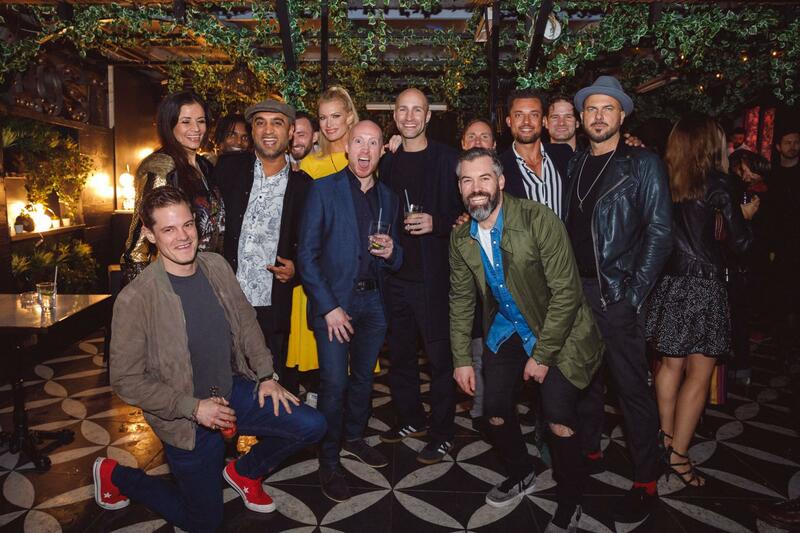 Massive thanks to the team at Lost & Co Battersea for looking after us... especially Jonas... Big thumbs up from all the people that attended that evening too! Staff really lovely and helpful. Great venue what would make it 11/10 would be an even later closing time especially on weekends. 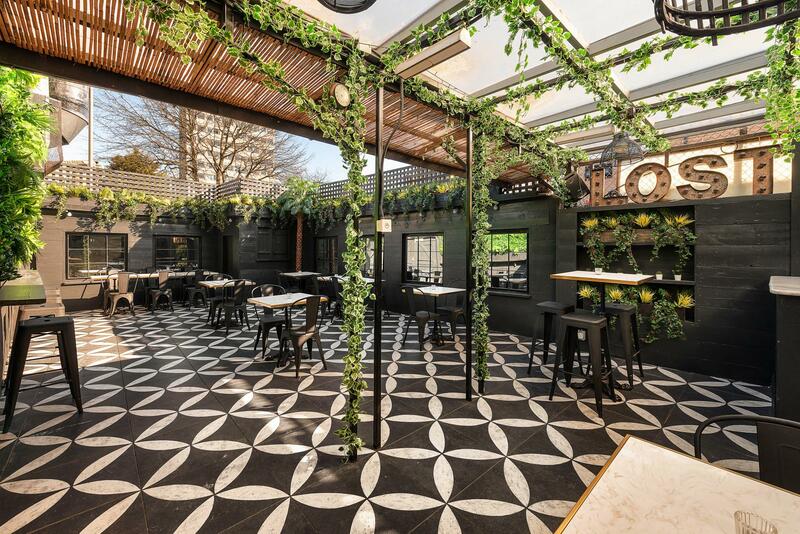 Lost and Co is a fantastic venue, i would highly reccomend it for hosting any type of function. Jack and his team are very flexible and work really hard to ensure that your event runs very smoothly and is memorable. We had a BBQ on the terrace, which was fantastic, the food was really excellent, significantly better than what you would normally receive in a pub. Everything was just perfect! Friendly staff, great organisation and a super night! I would have liked to have some drinks thrown in with the price however I completely understand the over head costs for opening up the room. Jack was really helpful and responded very quickly to emails. We were promised that we would have someone manning the bar outside in the garden which never happened. The doormen tried to charge my guests and werent listening even though they said they were there for my event. Staff were absolutely fantastic and couldn’t do more for you. The fact we got the place for completely free hire was absolutely brilliant and the space was perfect with an outside bar and plenty of room for seating etc. Great venue for a unique setting. Very attentive staff who were more than happy to accommodate requests, some being last minute changes! Very friendly and was made to feel very relaxed and left to enjoy ourselves. A great night was had by all! Pre order spirits by the bottle were pretty expensive, but partly expected.